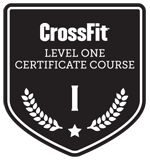 Just Curious - Don't know what CrossFit is all about !!! Give us a call or email us to set up a free training session to experience. Our trial sessions run every day between Monday to Friday at 06:00 AM to 08:30 AM and 06:00 PM to 08:00 PM. On Saturday we have classes available between 08:00 AM to 09:00 AM. We have limited slots so please ensure you have yours PRE BOOKED.